260.00 sqft. 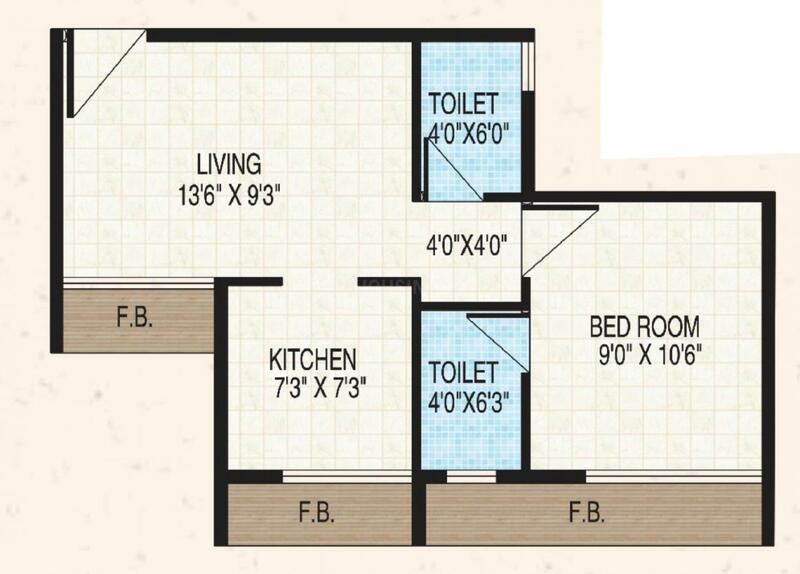 - 396.00 sqft. Welcome to Royal Heritage. An affordable project situated in hilly region of Vangani surrounded by green meadows. 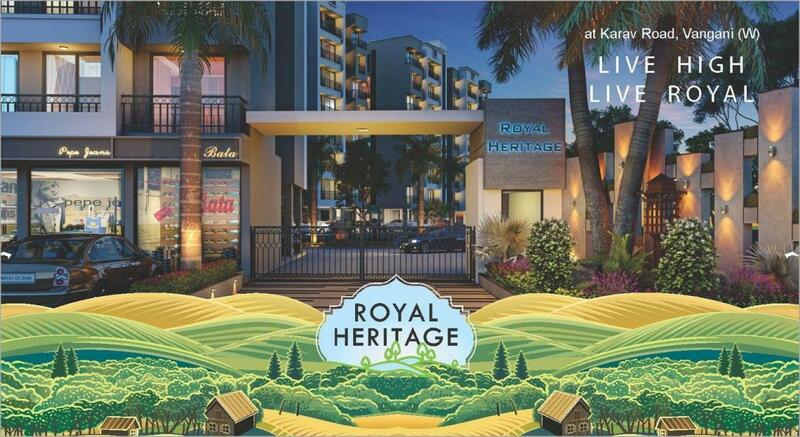 Royal Heritage comprises of 7 stories towers with 1 RK,1 & 2BHK flats. 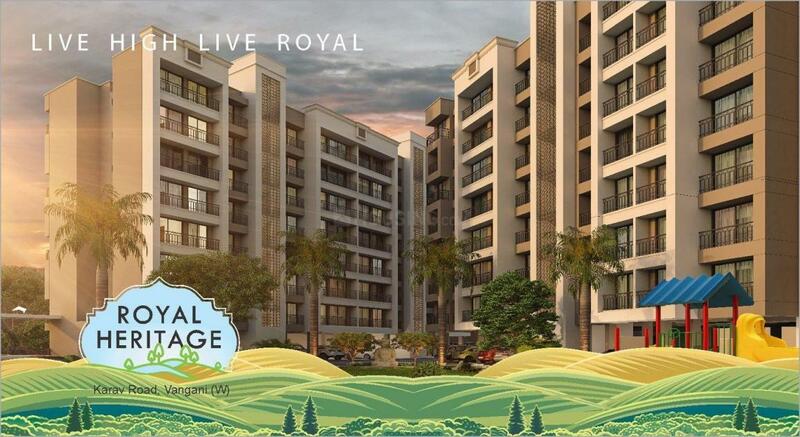 Come, live high, live Royal. Situated on most bustling road of Vangani,on Badlapur gaon road, Local trains available every30 mins. For Mumbai CST & Karjat. Easy access to Murbad and Karjat highway junction and proposed Navi Mumbai Int. Airport. Vangani-Neral-Karjat is becoming an educational hub with prominent IT, Engineering and Medical colleges. 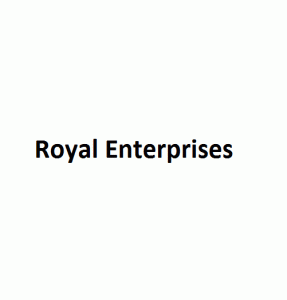 Market, Schools, Hospitals ,Temple & Bank in close vicinity. 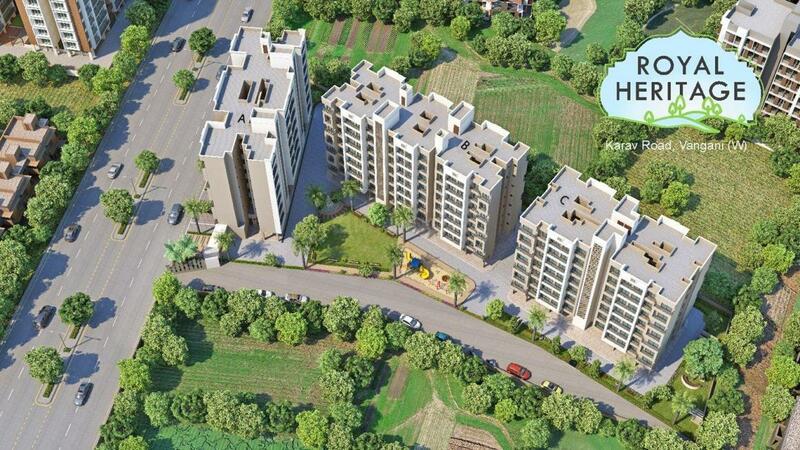 Gymnasium, Landscape Garden, Vastu based flats, Parking, Decorative Entrance. Carpet Area : 260.00 sqft.